Do accents in French really change anything?! How many times did you write a word without any accent because you didn’t know where to put them? How many times did you write an accent between two letters hoping that it would just fit in? Today, we will explain the “accent aigu” (the acute accent). Be ready. First of all, you can only find it on the letter “e” and it changes the pronunciation to “ay “. When the word starts with dé – , mé – or pré – don’t forget to add “l’accent aigu” ! Bon d’accord, this is a lot to remember! 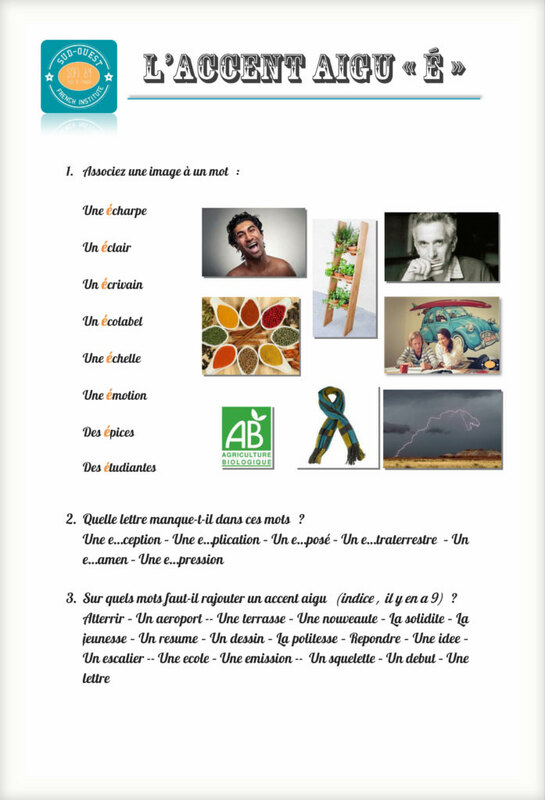 Just try practising your “accent aigu” using our exercices below! Mac: Press option and type “e”. Release both keys and type “e”.